Where everything Numero begins. Three guys in a purple Saturn station wagon drove down to Columbus, Ohio, and came back to Chicago with a lost label—the rest is history. 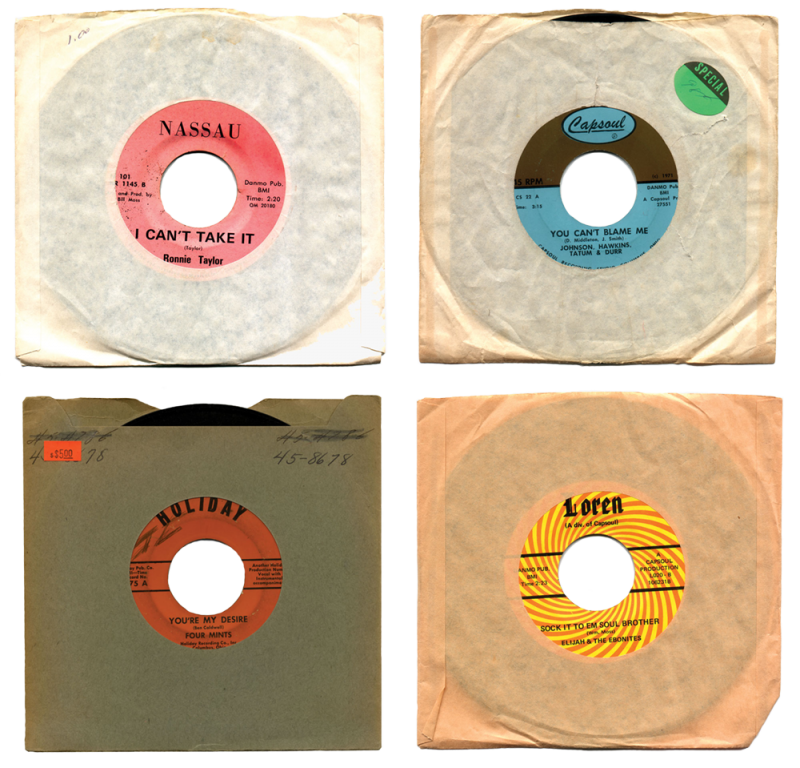 In the early ’70s, Bill Moss’ Capsoul imprint could barely break wind in the larger music marketplace, and yet today the label’s output can stand shoulder-to-shoulder with any classic soul of its era. Isolated in central Ohio and lacking the funds to back them, groups like the Four Mints and Johnson, Hawkins, Tatum & Durr might’ve easily withstood ten rounds against the Temptations, Smokey, or Otis. The scrappy Capsoul writing team of Dean Francis, Jeff Smith, and Norman Whiteside would’ve thrown blow-for-hook-filled-blow with any Gamble & Huff or Holland/Dozier/Holland thrown at them. From Bill Moss’ civil rights meditation “Sock It To ‘Em Soul Brother” to Marion Black’s future hit about the future “Who Knows” to Kool Blues bounding “I’m Gonna Keep on Loving You,” Eccentric Soul: The Capsoul Label remains dollar-for-dollar the best soul compilation of its century and the perfect primer for anyone piqued by the Eccentric Soul series. As the capital of arguably the most soulful state in the nation, Columbus, Ohio is remarkably unassuming. Just south of the rust belt and barely above the Mason-Dixon, it is surrounded by the fertile crescent of American R&B. Propped up culturally and economically by the largest university in the country, it had neither the boom nor the bust of nearby meccas Detroit and Memphis. Columbus was a stable burg where talent could flourish unmolested by the prospect of stardom, a the perfect environment in which idiosyncratic, eccentric soul music could thrive. Capsoul, short for Capital City Soul, released in its five short years only a dozen 45's and one highly-sought-after LP but managed to score several regional smashes and one national hit before collapsing under the weight of its own debt and hubris. The catalog languished afterward in a sort of limbo, too obscure to find new life on oldies and dusties stations or on Time-Life collections, but too common to attract serious interest from collectors of rare soul. But 30 years after it ceased to exist, the Capsoul label would rediscover its original audience, lying in wait somewhere between the mainstream and the underground. 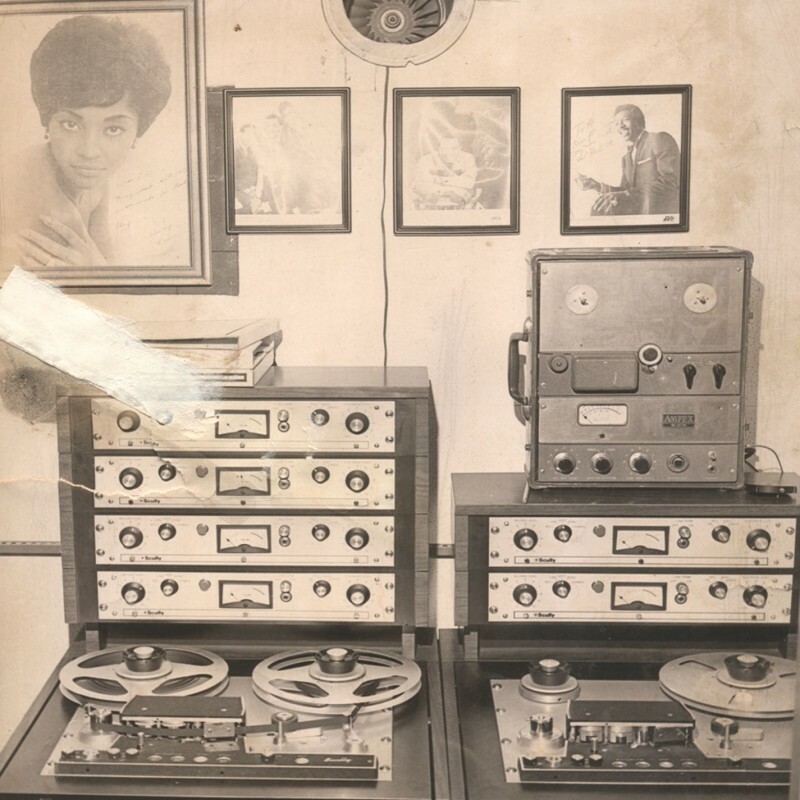 The roots of Capsoul sprouted in 1966, during Bill Moss’s tenure as a popular DJ at WVKO Columbus. Moss pooled the resources of a few low rollers around town to launch the short-lived Nassau label, a tribute to his native Bahamas. Right out of the gates, “Ooo-Poo-Pa-Doo” b/w “East 24th Ave” by Billy Graham and the Escalators was picked up by Atlantic Records, where it promptly fizzled. The second release on the starkly pink label would yield better results. Moss met a young singer named Ronnie Taylor who’d had recording success already as a member of the Four Pharaohs, themselves hit makers for Cincinnati’s King label and the local Ransom imprint. 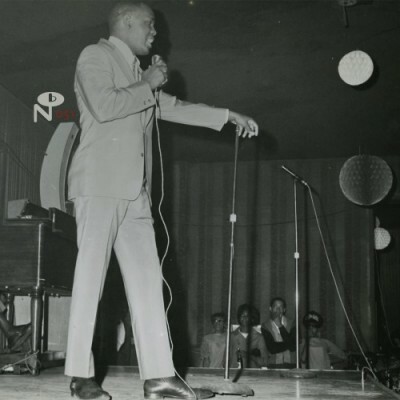 Taylor recorded a dazzling double-sider, “Without Love” backed with “I Can’t Take It,” which soon attracted interest outside the capital, this time with Lebaron Taylor’s Revilot label, who was currently hitting with The Parliaments, Darrell Banks, and The Holidays. Taylor’s record managed to chart with this higher profile release, but neither Moss nor Taylor ever saw any money from the release, which would begin an unfortunate trend for Moss’s productions. Before folding the label, Moss would take a last crack with “Memories Are Made Of This,” his debut as an artist, but an unfortunate and mediocre crooner. Moss’s next endeavor partnered him with local promoter Jim Justus to form another small imprint, the Holiday label. Its first two singles, issued in 1968, were by the same group under two different names. Both the Vondors and the Soul Partners were made up of Jay Almon, Jimmy Norbit, Ron Farthing, Roscoe Almon, Ronnie Threatt, & L.A. Almon. “Walk On Judge” by the Soul Partners charted locally, giving Moss the confidence to use his WVKO clout and shove the single into the hands of Larry Uttal at Bell. Uttal picked up the 45 and even went so far as to bankroll the next Soul Partners single. Moss used this relationship to distribute his next two efforts as a solo artist, a pair of singles that matched his positive approach. Banking less on his vocal chops than on charisma and charm, both “Sock It To ‘Em Soul Brother” and “Number One” were triumphs. The former, a tribute to African-American leadership, had inherent attraction to the black radio culture that was peaking nationwide. The latter, a surprisingly irresistible “father’s lecture” set to music, may not have hit number one, but it did chart nationally. Bill Moss, however, never saw a dime, and after Bell refused to even pay for the studio time, he pulled the masters and ended the relationship. 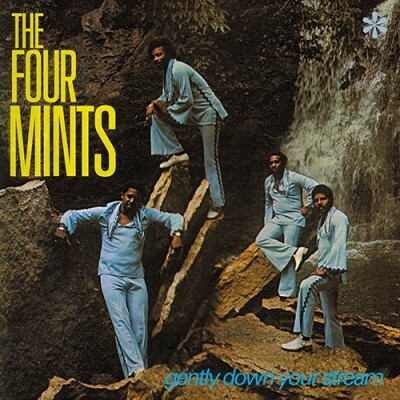 Before the Soul Partners channeled their success at Bell into national tours and deals with Scepter and, later, Utopia and Rainbow Collection, they backed one last session in 1969 for an up-and-coming vocal group, the Four Mints. James Brown, Louis Dotley, Bobby Shank, Herschel Davis, and James Spencer started out at East High in 1955 as the Five Mints, but by the time of their Musicol session, the Five had been whittled down to one. Joining Brown on the sublime ballad “You’re My Desire,” and its flip “You’ll Want To Come Back,” was doo-wop floater Ben Caldwell, Timeless Legend brother Jimmy Harmon, and Donald Russell. The 45 was strong opening salvo to an impressive recording career, but it failed to attract much attention. By 1970, Bill Moss had tired of his work as a DJ and regional promoter and decided to give the label business one more try. His last-hurrah act at WVKO took the form of a talent show, a surreptitious recruitment drive for his nascent brand. All the most important local musicians of the era competed, but it was dark horse Marion Black who stole the show with his heart-wrenching performance of “Go On Fool”—later to appear as the first single on the Capsoul label. Sales skyrocketed in every city that gave it airplay. Although most deejays preferred the vastly superior B-side “Who Knows,” AVCO/Embassy licensed the single and issued promotional copies with only “Go On Fool” on it. Nationally, “Who Knows” would ultimately be ignored. Still, that tiny morsel of success gave Moss a taste for the real thing. With a small chunk of cash and the help of a couple Ohio State engineering students, Moss built a small studio at 3504 N. High Street, which quickly became home base to a bright team of musicians and songwriters hungry for a shot. Audiophile and chronic record store employee Jeff Smith would scratch out songs on guitar. Dean Francis, already known for his locally released single “Funky Disposition,” played drums and quickly grew as a star songwriter. Moss imported the now legendary Billy Wooten from Indiana to play vibraphone. Frank LaRue, a University violin teacher created all the Capsoul string arrangements with the help of some of his best students. Dwight Cartier, Steve Taylor, and Terry Wilkes filled out the bass, keys, and rhythm guitar. And Bill’s fledging company got a boost when he was able to secure a $30,000 loan from City National Bank. Moss had taken care of the money, the music, and the management. All he needed now was raw talent. Virgil Johnson, Al Dawson, Willie Tatum, and Norris Durr were a group of neighborhood kids who called themselves the Revelations. Prompted by a friend, Moss decided to give them an audition. What they sang that day was anything but a revelation, but those voices were right on. Liking the ring that Crosby, Stills, Nash & Young had coming off the tongue, Moss re-christened the group Johnson, Dawson, Tatum & Durr. A few weeks later he would absent-mindedly swap “Dawson” for “Hawkins” while laying out the labels for their first single, “You Can’t Blame Me,” accidentally renaming them for a third time. If you haven’t heard it yet, stop reading right now and drown yourself in pure liquid soul. Moody, complex, dark, with a shockingly unique falsetto lead courtesy of Virgil Johnson and a proto-hip-hop bass line beat that grooves like a bus on speed bumps, “You Can’t Blame Me” is tense and intense. The flip, “Your Love Keeps Drawing Me Closer,” made a dent on the soul dance scene but couldn’t touch the impact of the a-side. Few records could. It was played everywhere and went to number one throughout the Midwest and up and down the eastern seaboard. While crucial cities such as Chicago and New York overlooked it, sales in places like Baltimore, Philadelphia, and Cleveland were massive. The success of that first single was no mystery. Virgil Johnson’s hypnotic and unsettling lead was the linchpin of its popularity. Unfortunately, Virgil knew it as well as anyone else. After their second single, “You’re All I Need to Make It” b/w “A World Without You” was in the can, Virgil was ready for the big time and Capsoul, he figured, wasn’t getting him there fast enough. One very heated confrontation later, Johnson was thrown off the roster. Pride-bound, he immediately moved to Los Angeles, where he encountered the hard truth of his own insignificance. One of a million singers trying to get a gig in the big city, he was forced to return to Ohio just a few years later and has, as far as anyone can tell, never recorded again. Beginning a trend of recycling instrumental tracks, Moss retroactively filled a hole in the catalog between “Go On, Fool” and “You Can’t Blame Me” with a single by the generically named Capsoul Group. 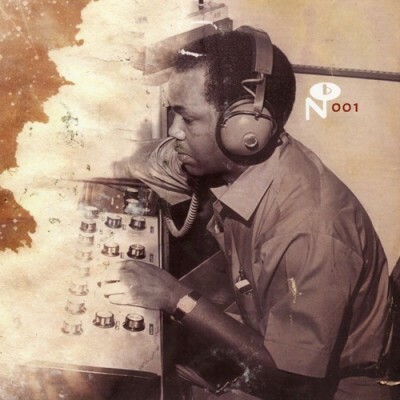 Moss snagged the instrumental to his second Bell single, “Number One,” and tacked it on to the string heavy instrumental to “You’re All I Need To Make It,” but the two sides couldn’t have come from further places. The a-side was backed by a gaggle of hourly session men, but its flip was a product of the scrappy group of amateurs and semi-pros plying their trade at 3504 N. High. The instrumental to “Sock It To ‘Em Soul Brother” was also revived after Moss licensed “Pure Soul” from the South Carolina group Elijah & the Ebonites. Lead by Elijah Hawthorne, the original release of the song appeared on their own Superior label and featured a cover of “Yes I’m Ready” by Barbara Mason on the flip. As Moss wasn’t fond of releasing cuts he didn’t publish, he slapped “Soul Brother” on the other side and issued it on the Loren imprint, named for his first son. While Moss recovered from Johnson, Hawkins, Tatum & Durr’s break-up, he was able to re-unite with the Four Mints, then eager to enter the studio again. Without much difficulty, “Row My Boat,” written specifically for the group by Dean Francis, went to the top of the local charts. A timeless single, the song interpolates elements of the nursery rhyme “Row Your Boat” into the melody. Lead singer Ben Caldwell’s breathtaking vocal range, somewhere between a caramel tenor and a pure sugar falsetto, was a perfect recipe for the soul style of the moment. 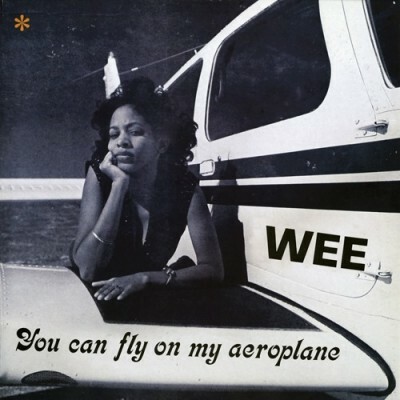 Though originally issued on Capsoul, this single also has a scarcer alternate pressing on Loren. In the wake of “You Can’t Blame Me,” pressure was on Capsoul to deliver hits. City National loomed in the rearview mirror on every out-of-town promotion junket. Hoping to change his fortunes, Moss produced and issued a barrage of singles. 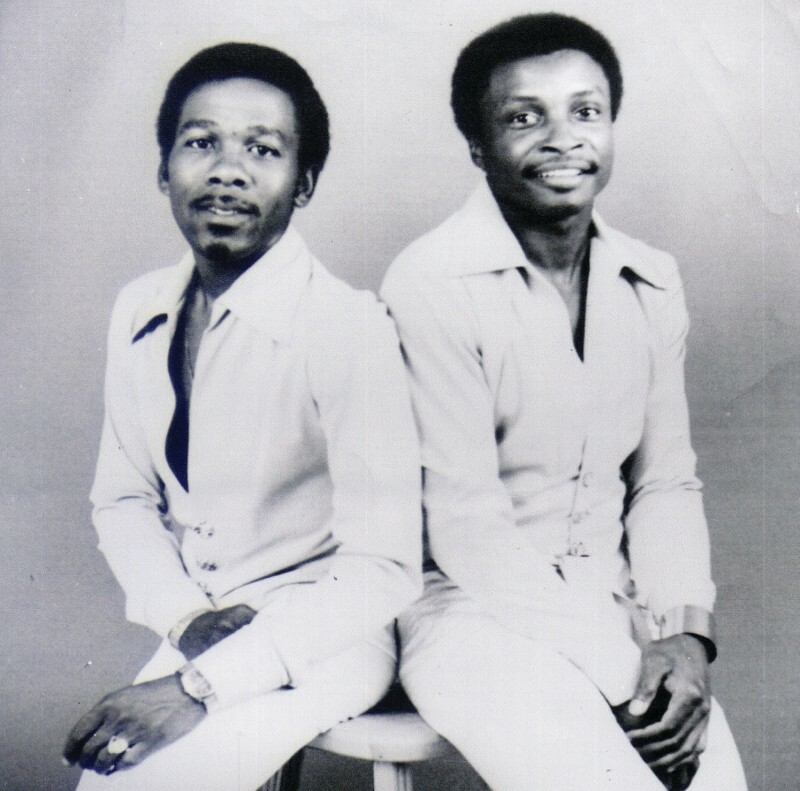 The Enticers, another vocal group from the WVKO talent show, had by then narrowed their line-up to a duo, Tennessee natives John Primm and William Gilbert, and were known as the Kool Blues. Their first single, “Why Did I Go,” was from the pen of Dana Middleton and Jeff Smith and would later be retread by the Four Mints. “I’m Gonna Keep On Loving You”—which draws inspiration from the duo’s home state heroes at Stax—was penned with the help of young upstart Norman Whiteside, a hanger-on around the Capsoul studio. Whiteside later formed the band Wee and recorded an LP that—along with the Four Mints’ Gently Down Your Stream LP and Timeless Legend’s Synchronized LP—are considered the finest soul albums in Columbus history. While it’s absurd that the single was ignored, the b-side saw life again years later on the northern soul scene. Their second single featured two excellent ballads: “Can We Try Love Again,” a funky, mid-tempo rug slasher, was backed by the eerie, contemplative “I Want to Be Ready.” Among the last singles on the Capsoul label, it barely even attracted the marginal attention of its predecessor. 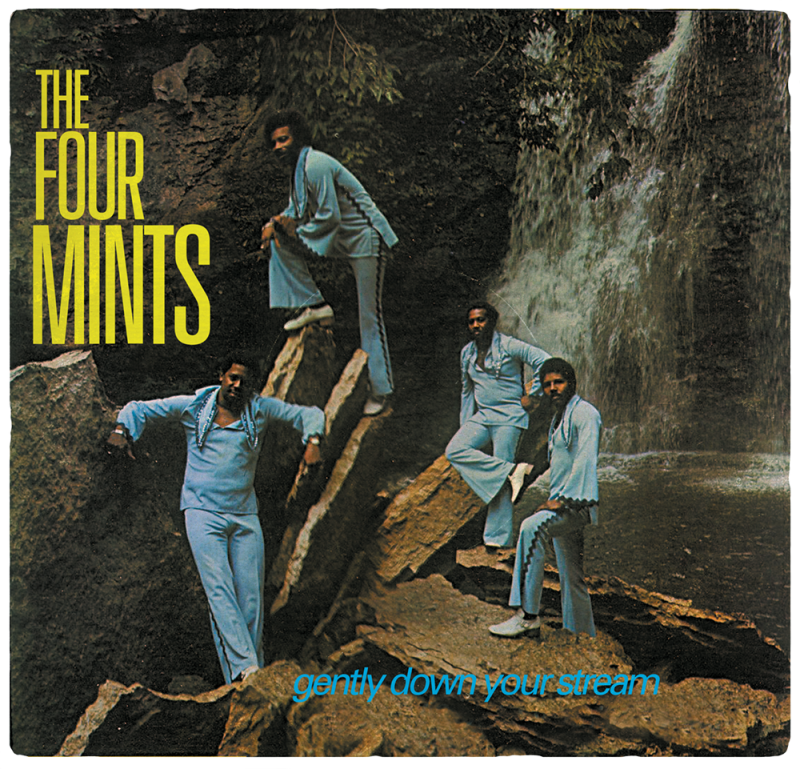 1973 was the year of Four Mints, with a total of three singles emerging, the largest output for the label thus far. “Can’t Get Strung Out” saw two pressings, the first with “In A Rut” on the flip, the second issue with the Mints’ take on “Why Did I Go.” They closed out the year with a reissue of their Holiday single, which fared better this time, boosted by the Capsoul imprint’s new notoriety. This surge in extraordinary output, however, wasn’t enough to save the label from receivership, despite one more close call that nearly put the books in the black. While on the road in Memphis promoting the singles, Bill Moss and Four Mints founder James Brown heard breaking news that Al Green had been hospitalized after being scalded by hot grits. Inspired, they raced back to Columbus to resurrect “Pure Soul” by Elijah & the Ebonies as “Hot Grits!! !” It was re-re-released on Capsoul and found life via novelty appeal throughout the south. 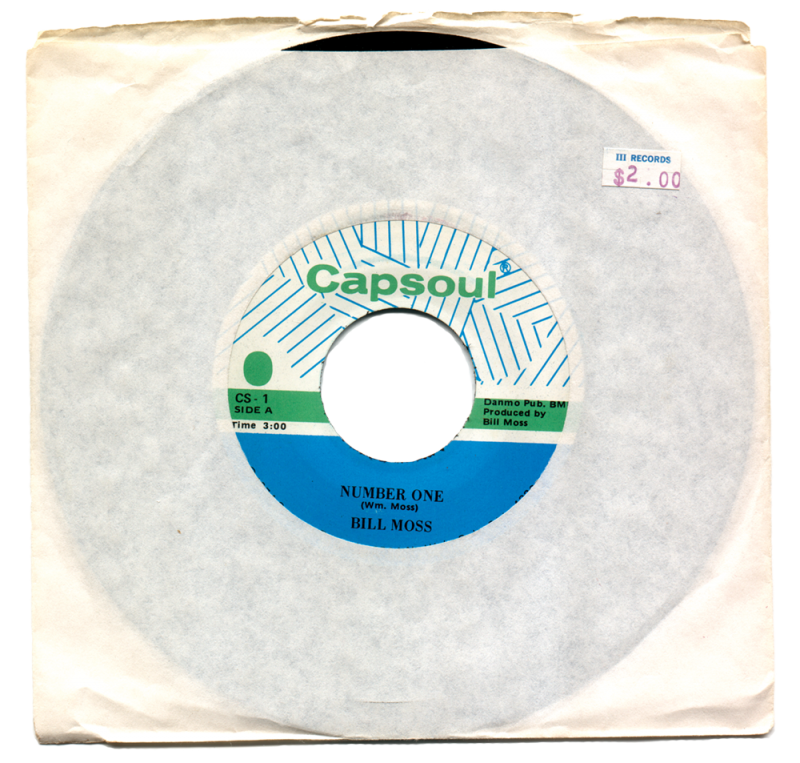 The final Capsoul release would be the Four Mints only album, Gently Down Your Stream, a collection of their 45’s plus one leftover, “Too Far Gone,” another Dean Francis masterpiece. Neglecting to issue this as a single may have been one of Capsoul’s greatest errors; it stands with “Row My Boat” as the Mints’ finest recorded moment. The album’s release did nothing but showcase the exceptional output of this vocal group, though its scarcity today indicates that sales never even exhausted a first pressing. Around the end of 1974, City National informed Bill that he was too “emotionally involved” with the label and that they’d decided to pull the plug on Capsoul. Things got dire when Moss showed up at 3504 N. High Street to find the door padlocked, forcing him to break in to his own studio to abscond with the master tapes. Uneasy about keeping them at home, he secured them safely at a friend’s place in the rural outskirts of the city. Several years later, he’d return for them only to find that the tapes had been destroyed in a flood. And it gets uglier. Fed up and disgusted with the record business, Moss drove to Queen City in Cincinnati with the remaining Capsoul 45’s and had them recycled for a pittance in returns. And so Capsoul lay entombed for 30 years, the seeds of its promise spread out in hopes of discovery by a future generation. The cast and crew followed suit. 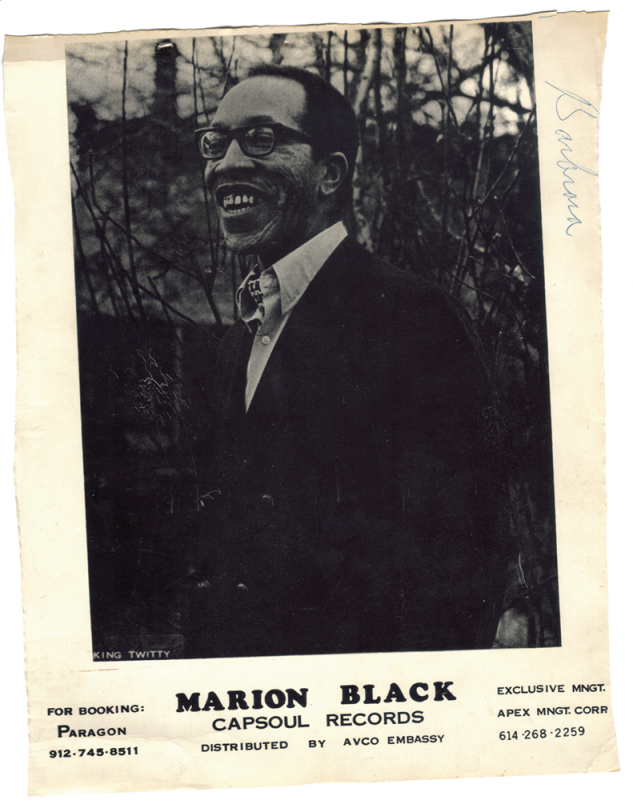 Marion Black found his way to Harmonic Sounds across town and recorded a few moody singles for Clem Price’s Prix label. Taylor joined the military and recorded killer funk with Sojourner Truth in Kentucky, and even deadlier funk with O.F.S. Unlimited, also on the Prix label. Black works, as he has since his recording days, as a waiter in upscale Columbus establishments, while Taylor relocated to New Zealand, where he lives to this day. The Four Mints never made another record but still perform semi-professionally in and around Columbus. Dean Francis would keep writing and recording, working with Timeless Legend and Jupiter’s Release with former Kool Blues Billy Gilbert and John Primm. Gilbert took a job as an inspector for the City Of Columbus, while Primm moved back to Nashville. No one has heard a peep out of Virgil Johnson since his sheepish return from Los Angeles. Jeff Smith recorded a few more times in the 1970s but sadly died of cancer in 1997. Bill Moss would eventually enter politics, declaring that it couldn’t be as cutthroat as the music business. He ran for congress in 1976 and won election in 1977 (and six later re-elections) to the Columbus school board. He even ran for mayor in 1985 but was handily defeated. When we met with Moss in March of 2003, he could still be heard on WVKO radio, on Saturday mornings as the host of his “Let’s Talk” show and on Sunday afternoons with his own “Good News Sunday Gospel.” We enjoyed a few all-too-brief years of friendship with Bill before his sudden death on August 1, 2005. Elijah & The Ebonites Hot Grits!! !